I’m not sure if these are legit BAPE apparel, but personally I don’t care. Frankly I’m more concerned about the fit of the hoodie, which is too loose for my taste. But I still don’t care. It has a Mario face mask, and that’s all that matters. 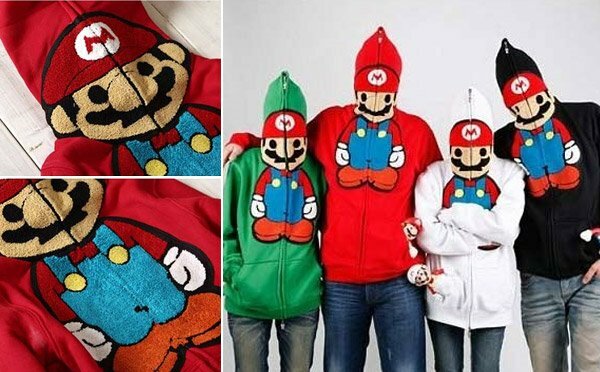 You can pre-order the Super Mario Baby Milo Hoodie from J-List for only $42 (USD). Unfortunately it’s only available in L, XL and XXL. 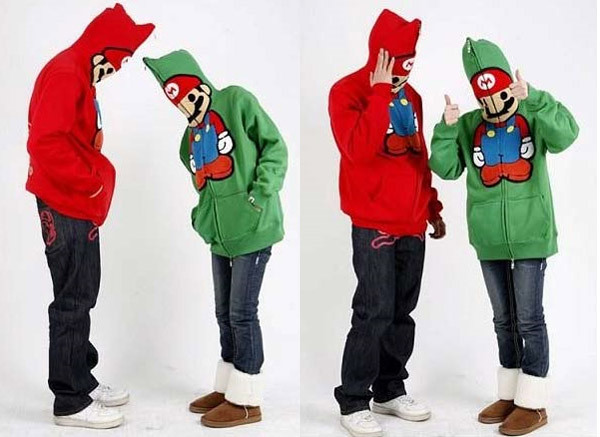 I guess we skinny people should just wait for the Luigi Baby Milo Hoodie.